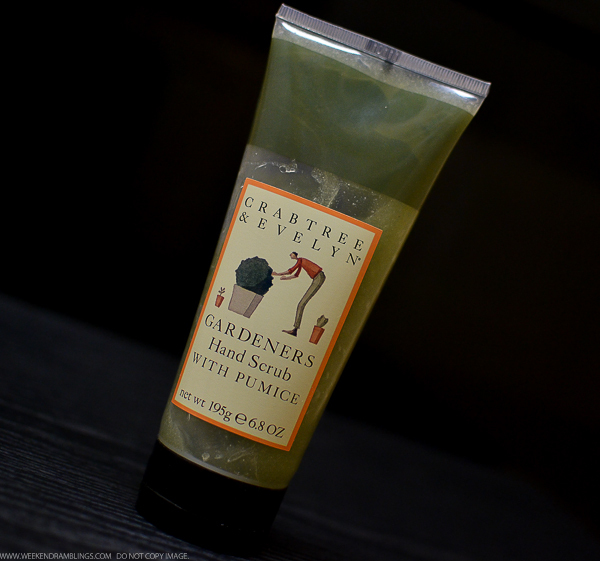 Reward hardworking hands with an herbal treat, courtesy of our Gardeners Hand Scrub with Pumice. Formulated with aloe, honey, and allantoin, this scrub features two types of ultra-fine pumice to buff away soil, dirt, and other impurities. Skin is instantly softened and refreshed - the way you feel after wandering through a fragrant English garden. To use, wet hands and massage the scrub into the hands. Wash off to clean, soft hands. 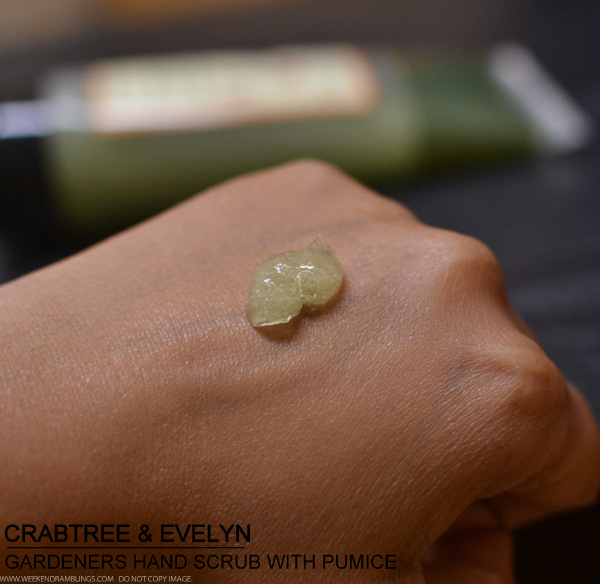 Unlike a lot of the other Crabtree & Evelyn scrubs, this one is gel-based (not creamy) and is quite soapy too. It really is the perfect scrub for gardeners (or anyone else who gets their hands dirty/greasy) as the combination of fine pumice particles and soap gets rid of every bit of mud and grime, especially around the nails. Plus, it has a fresh scent to it that adds to the clean-hands feeling. The scrub isn't very moisturizing, though not drying either, and I would definitely need to follow up with a hand cream/moisturizer after this scrub. I don't really use this scrub all that very often - in terms of scrubbing power, I find this quite a mild scrub. I prefer creamier ones that provide a lot more heavy-duty scrubbing and moisturizing effect, but this would make the best gift ever for my gardening-obsessed parents! 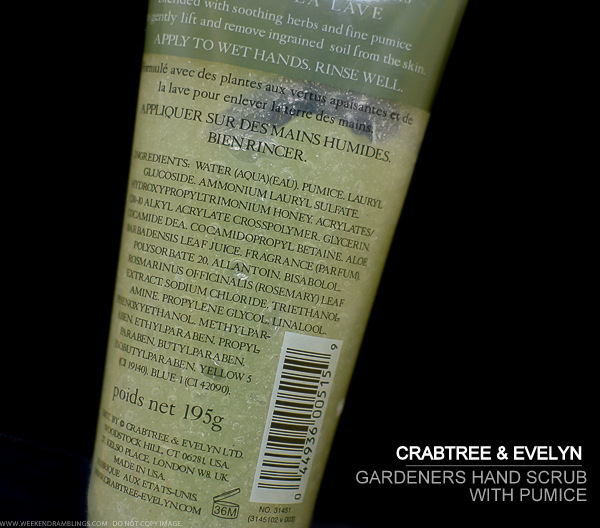 I've been using their hand cream which smells divine and keeps my hands soft and adequately moisturized! I might skip this though because I'm not really fond of mild scrubs either!